Alpha ESS Battery Review: Does The Storion-SMILE Look Any Good? 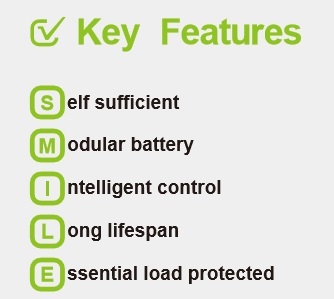 The Alpha ESS Storion SMILE battery is the second battery eligible for the SA Battery ‘rebate’. But is it worth considering? Alpha ESS is a Chinese manufacturer of home battery systems. Because they have promised to do some assembly in Adelaide they are now the second company eligible to receive South Australia’s substantial home battery subsidy, as reported by Michael here. More batteries will become eligible in January. From 5.5 up to 33 kilowatt-hours of usable storage when new. Currently available systems have 5.5, 11, and 16.5 kilowatt-hours of usable storage. Power output of 2.8 kilowatts for a system with 5.5 kilowatt-hours of usable storage and 4.6 kilowatts for all larger ones. A built in 4.6 kilowatt hybrid inverter. This makes it an all-in-one system and rooftop solar panels can be connected directly to it. It can also be AC coupled and operate alongside any existing home solar system and solar inverter. 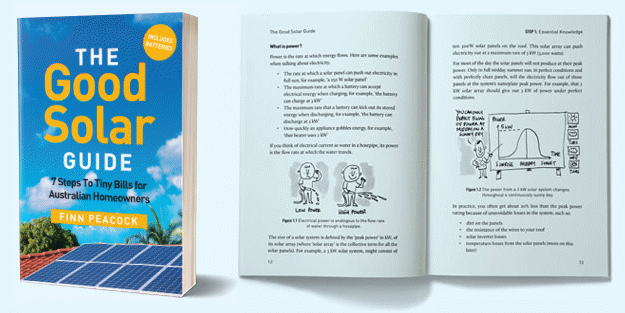 When solar panels are directly attached to its hybrid inverter it can charge its batteries with them during a blackout and also function as an Uninterruptible Power Supply (UPS). It’s suitable for outdoor or indoor installation. The inverter and any components other then the battery modules have a 5 year warranty. The battery modules have a 10 year warranty when used for self consumption. 11 kilowatt-hours: $13,992 without subsidy, $8,292 after SA subsidy or $7,142 for concession holders. This makes Alpha ESS much cheaper than the alternative eligible systems from Sonnen3, but their warranty is not as good. Note that even with the SA subsidy your home will need a high enough overnight electricity consumption and a large enough solar system for a battery to be cost effective. Alpha ESS was founded in 2012 and its headquarters are in the Chinese city of Nantong. Currently more than 10,000 of their residential and commercial battery systems have been installed worldwide, with thousands of them in Australia. They have an office in Sydney and presumably will have one in Adelaide any second now. The battery modules Alpha ESS uses are manufactured by the Chinese company EVE which stands for Energy Very Endure.4 This company was founded in 2001 and is a large manufacturer of batteries for Chinese electric cars and other purposes. Their company song is awesome. 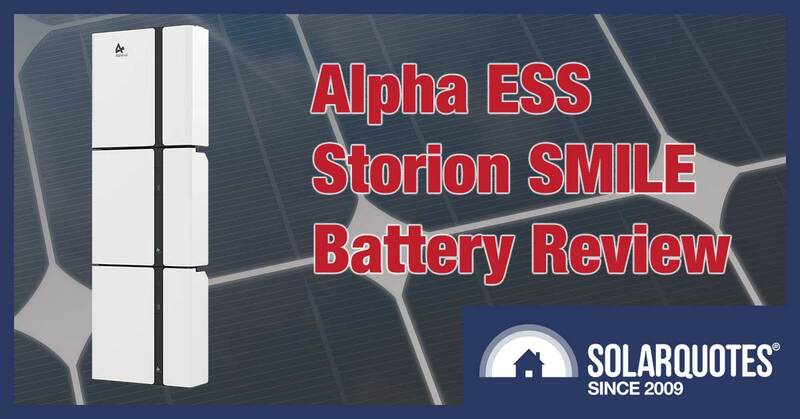 The Clean Energy Council has recently created a list of approved energy storage devices and the battery module Alpha ESS uses in their Storion-SMILE-B5-GW is right at the top! There is only one reason why the CEC gave it the number one position and that is because the list is in alphabetical order. If you want to see what other systems are on the little list, it can be downloaded from this page. Being on the list does not mean a system will work perfectly without any problems, but it does mean it should meet Australian standards and be safe. By safe, I mean safe in the way I have no problem typing this with my fingers only centimeters away from a potentially explosive lithium laptop battery I also have no fear of putting a phone with a lithium battery into my pants or shoving it against my face.5 But while we usually consider them to be safe, laptop and phone batteries do explode on rare occasions so you can’t be 100% certain your battery system will be safe. But hopefully you will be no more likely to die from a home battery exploding or catching on fire than you are from being killed by a short circuit in your air conditioner or a ceiling fan falling on your head. There’s not a lot of money to be made in selling battery systems that kill people, but to be on the safe side you should only buy batteries that are on the CEC approved list. If it’s not on the list I wouldn’t touch it with a 10 foot pole. Not unless the pole was well insulated. Goddammit Alpha ESS! Despite what the screenshot above from your site says, you are only A provider, not THE provider. Does Sonnen, the German company whose battery systems can also currently receive the subsidy, know you are saying stuff like this? Trust me, you don’t want to go picking fights with Germans. My grandfather lost a fight to some Germans and they took over his entire country. While only the Storion-SMILE-B5-GW is available at the moment, there are 5 different battery systems in the image above. On the page that is specifically about the SA battery subsidy they show 4 systems. Each has a trio of brown, origami looking Australias above it, which make it look as though they don’t know where Adelaide is. It instead seems to be emphasizing the middle of nowhere. You need to be on the grid to get the subsidy and geographically-speaking, there is only grid in the south-east of the state. You can see on the image above it says the Storion-SMILE-B5-GW is a 5 kilowatt battery system which most people would reasonably mean it can supply 5 kilowatts of AC power. But according to its inverter technical specifications, its maximum AC output is only 4.6 kilowatts. If you look at the weight, you can see at 65 kg the modules are pretty heavy. A system with three of them may weigh even more than I do. Here are the technical specifications of the hybrid inverter in the Storion-SMILE-B5-GW. The battery modules are lithium iron phosphate, which is the safest type of lithium battery technology. But just because a battery system uses the least dangerous chemistry doesn’t mean it will be the least dangerous system. It will depend on how well it’s designed and how reliable its components are. It’s like the difference between petrol and diesel cars. Diesel is a safer fuel, but a petrol Volvo is always going to be less dangerous than a diesel trabant. That said, until we have a better idea of who makes the safest systems, if safety is a major concern you are better off going with the safer chemistry. But if you want more than this and don’t mind paying extra for battery modules that won’t be subsidised, you should be able to get extra ones. This mean it can only charge and discharge at a maximum of half the battery’s nominal capacity of 5.7 kilowatt-hours.6 So a system with one battery module will only be able to supply around 2.85 kilowatts of continuous power. But this will be DC power and not the AC power homes use. If the inverter’s average efficiency of 97% applies then 2.85 kilowatts of DC power will be reduced to 2.76 kilowatts of AC power. A battery system with 2 or more modules will be able to supply more power but it will be limited by the 4.6 kilowatt AC output of its inverter. If you are installing a new solar system this can save you the cost of a standard solar inverter and so the system may be better value than it first appears. In this configuration the battery system can provide backup power during a blackout. If you already have a solar system installed it may be more convenient to AC couple the Storion-SMILE-B5-GW as shown below. With this arrangement the battery system will be able to function no matter what type of solar inverter is already installed or what the solar panel capacity is. But if the solar capacity isn’t large you may have difficulty charging your battery. Unless there are special circumstances it won’t be able to provide backup power in this configuration. This could potentially be done where there is an existing solar power system you wish to keep but you want additional solar capacity to help charge your batteries. When solar panels are directly attached to the Storion-SMILE-B5-GW’s hybrid inverter it is able to provide full backup and charge its batteries from the solar panels during the day. It also functions as an Uninterruptible Power Supply, or UPS. This means when a blackout occurs electrical devices that are able to draw on the power supplied by the battery should not have their functioning interrupted. During a blackout the maximum amount of AC power the inverter can supply is 4 kilowatts. When AC coupled the Storion-SMILE won’t be able to provide backup power except in the unlikely situation where the existing solar inverter is a hybrid that can allow the home to operate off-grid. With 2 battery modules and 11 kilowatt-hours of usable storage the SMILE-B5-GW will be 180cm tall, 25cm deep, and 60cm across. Or at least it is according to one set of figures from the Alpha ESS site. According to another set it’s just a little larger. Each additional battery module will increase its original size by one-third. Each battery module weighs 65kg and the inverter is 58kg, so a system with 11 kilowatt-hours of usable storage should weigh 188kg. The SMILE-B5-GW is able to withstand rain and can be located indoors or outdoors. It is best to keep it out of the sun to prevent it getting too hot to operate. The system is able to operate normally at temperatures from 0 to 40 degrees. From 0 down to -10 degrees and from 40 up to 50 degrees the batteries will still be able to charge and discharge, but at a reduced rate. In most of Australia reduced power output could be an issue during heatwaves. And in some parts of Australia it could be an issue during coldwaves. The batteries are used for “self-consumption” only. If the system isn’t connected to the internet, then the battery warranty will only be for 3 years and Alpha ESS says if you want to make a claim either you or the installer will have to arrange an inspection of the system at your own cost. But under Australian Consumer Guarantees it is possible to claim for reasonably foreseeable damage and loss and this would include the cost of having a system that fails to operate correctly inspected. This condition means if you don’t use the battery only for “self-consumption” and you cycle it an average of 80% or less of its nominal capacity per day, as many households are likely to do, then the warranty will last the full 10 years. But if you cycle it an average of once per day the warranty will only last for 8 years. They have an asterisk next to it that says it’s “Under specific test conditions”, but that’s not much of an out. No one buys a home battery system to operate it under specific test conditions. If they were confident their battery system would last close to 10,000 cycles, its warranty would reflect it. As Alpha ESS has said they will update the warranty, if you get one of their systems, I strongly recommend checking if the warranty will be affected by joining a Virtual Power Plant. Hopefully in the near future Alpha ESS will offer a 10 year warranty for the entire system. At the moment the inverter could fail after 7 years and leave the owner to puzzle over if it would be worthwhile to pay to have the inverter replaced for the sake of batteries that will be out of warranty in 3 years time. A full 10 year warranty will avoid these situations and make the decision to invest in a system easier. This should increase sales. I found the Alpha ESS website difficult to follow and confusing at times. Because it’s not completely clear it’s important to double check with your installer that you are getting exactly what you expect and that it will suit your needs. I expect that as Alpha ESS increases their presence in Australia their communication ability will improve. Is there any limitation to these type of Lithium battery’s ability to discharge at peak capacity during cold days or nights, say temperatures at around 10 deg C or below? I live in Canberra and it can get cold on some days. Lithium batteries (and some others) definitely can have problems charging and discharging when the temperature is below zero degrees. But this is not likely to be a problem for you. The mean temperature in the coldest month in Canberra is 6 degrees and the battery packs are really heavy at 65kg so if temperatures drop below freezing at night their thermal inertia should mean they’ll stay above freezing. And even if they fall below freezing the record low in Canberra is -10 degrees so they should always be able to provide some power. When the batteries are in use they produce a small amount of waste heat so that will help keep them warm. Basically I don’t think you really have anything to worry about. It is possible cold conditions could reduce their output at times but I don’t think the effect would be very noticeable in Canberra. 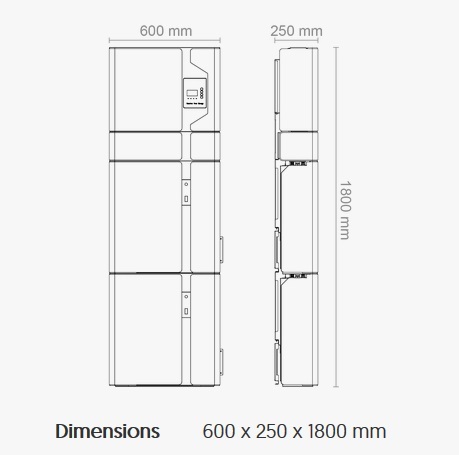 I don’t know if the prices quoted in the article include installation – even if they do (which I doubt) then I think the ECO S5 would be a much better deal. It seems Alpha no longer makes the ECO S5 which is a shame because it was much more to SMILE about. I spoke to Alpha ESS today and they say they only have a few ECOs left in stock and will soon be switched over to their new SMILE systems. I was very excited to read this post today and asked Suntrix to attend and quote on a solution for my house. They said that they required a fully refundable $200 deposit before they would make a booking to attend. 3. Additional costs are identified during the site inspection which result in an increase in the price quoted. Given that the quote in my opinion is not based on a proper needs assessment I see the $200 being a fee for time to attend and assess. Rather than assume that Suntrix is the only supplier for my needs I will look at alternative suppliers. Can you comment on whether the Alpha-ESS SMILE5 battery system takes over all monitoring of PV + battery to exclusion of other monitoring services, or whether other monitoring systems can co-exist with the Alpha-ESS battery after battery installation? For example, my PVs have Enphase microinverters which are monitored by Enphase Enlighten web-based system (using Enphase’s Envoy-S sitting behind my meter box). Would the Enphase system continue operation with addition of an Alpha-ESS battery, or would it be rendered useless (if so, the firmware of my Ephase microinverters could not be upgraded by Enphase). If you have microinverters the SMILE5 would need to be AC coupled which means it should operate with whatever you already have installed without problem. I presume that as far as the Envoy is concerned it wouldn’t register the existence of the SMILE5. This is probably out of place here, but I would like to ask. In the article on your web page; ‘What brand of batteries should you buy?’, there is some mention of the Ecoult Ultra battery. It is stated that it is geared towards larger systems. Upon a friend’s recommendation, I’ve bought 4 x 6V Narada (3-GFM-300 RC) lead carbon batteries for my RV under construction. These appear to be similar. I decided on these because of safety. I don’t want the 80k project going up in smoke. IF this is of interest to you can you let me have your thoughts on these and if they have a place into the future? Do you know anything about their discharge rates? I’m afraid I don’t know anything about Narada batteries, but if they have a supercapacitor built in then they are like the Ecoult Ultra battery. Lead-acids can withstand a pretty rapid discharge if they are made for it — for example a standard car battery — but generally to get a long life out of a battery it is often best to charge and discharge at under one C. That means don’t draw more kilowatts of power than a battery has kilowatt-hours of storage. Looking up the battery I see it supply up to 1.8 kilowatt-hours of electrical energy, so one C would be when it is providing 1.8 kilowatts of power. The supercapacitor presumably will let it briefly discharge at a greater rate without harm. (Note the 5 year warranty is with 45% depth of discharge so at best it can prove up to 0.81 kilowatt-hours if you want to keep the warranty intact.) But the best thing to do is talk with the person you’re buying it from. usable capacity has been dispatched from the battery.